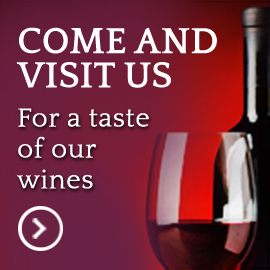 Tenuta di Aljano will be present this year too (booth A-5, Emilia-Romagna hall) at the 48th edition of Vinitaly, which takes place in Verona from 6th to 9th April. Visitors will be able to taste the new 2013 vintage of Lambrusco Reggiano D.O.P. Settefilari, obtained from 7 autochthonous vines, a sincere expression of the Reggio area; Brezza di Luna 2013 vintage, a still white D.O.P. produced with autochthonous Spergola grapes; La Vigna Ritrovata 2013 vintage, a still white made from selected, late-harvested Spergola grapes. We will also offer tastings of the 2008 vintage Cabernet Sauvignon D.O.P. Rio delle Viole, winner of the “Excellence” award of the 2013/2014 edition of the Guide to Food and Drink in Emilia-Romagna Romagna, published by the Emilia-Romagna section of the Italian Association of Sommeliers.